If your favorite mode of transportation is the Highway to Hell, you're in for a treat. 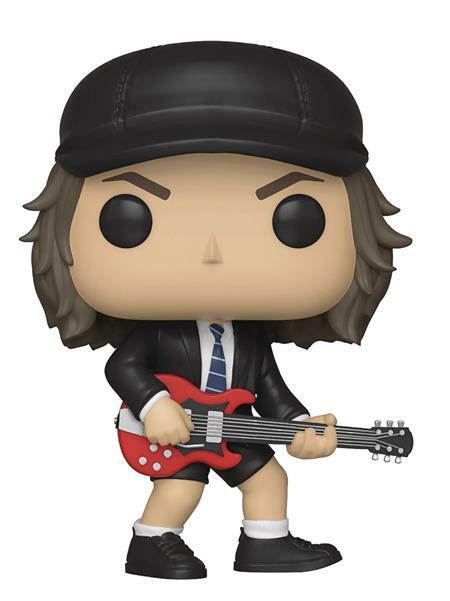 Funko is ready to add some high voltage rock 'n' roll to your collection with the release of its Angus Young Pop!. The AC/DC lead guitarist and co-founder is rocking on his guitar as officially licensed POP! musician with a Chase figure that's wearing a hat with an 'A' and devil horns. Window box packaging.